Any end-of-year whisky review is only partly about the liquids sampled over the past 12 months; the moments, the people you shared those drams with… they nudge their way into your consciousness, and before long it’s hard to separate the flavours in the glass from the memories that swirl around them. Drinking Loch Lomond’s earthily peaty Inchmoan single malt while drawn up alongside the island that gives the whisky its name was one highlight (as was sampling Loch Lomond’s remarkable 50-year-old single malt the following day). But not everthing goes to plan. The idea of tasting Ardbeg’s outstanding new An Oa expression on Islay’s windswept Oa peninsula was great in theory; in practice, low clouds sent us scuttling back to Glasgow for an impromptu tasting in a hotel by the Clyde. Not quite the Old Kiln Café, but the superbly assembled whisky stood up brilliantly to its less than glamorous relocation. A pilgrimage to Pulteney in Wick was an introduction to one of this land’s most remarkable fishing ports (watch out for a feature in the new year), with a distillery to match. Heath Robinson doesn’t begin to describe it… When you go, try some of the rich, characterful new Old [Is this right? – Ed] Pulteney bottlings. My top three? Well, I’ve tried to focus on what the most outstanding liquid I’ve tasted – but, even here, the context of their consumption keeps coming back. Spending time with Bill Lumsden at Glenmorangie is always an experience; throw Charlie MacLean into the mix and you have a memory for life (and the potential for trouble). Cycling in the still house was one of the minor highlights. 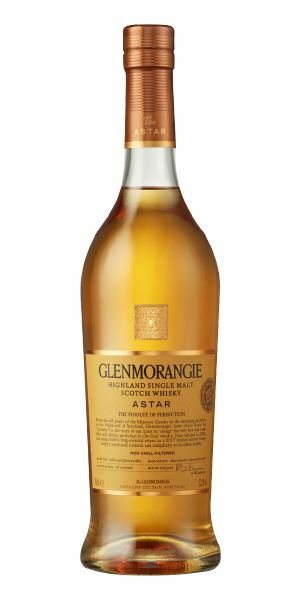 Glenmorangie’s relaunched Astar blew me away with its sheer bravado, using the medium of cask to push distillery character to the edge, but without sacrificing balance in the process. 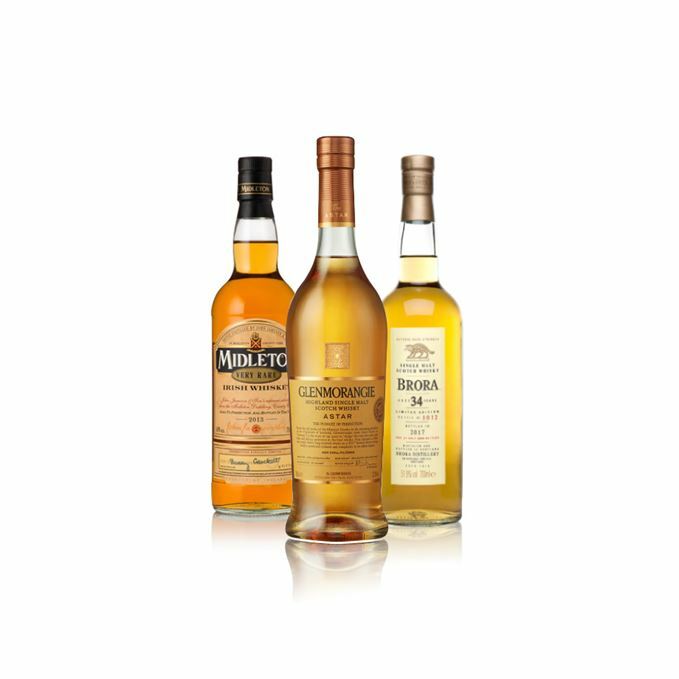 Tasting Diageo’s annual batch of Special Releases is all the more, well, special, when you’re lucky enough to do so in the company of Maureen Robinson, the master blender who celebrated 40 years with the company in 2017. 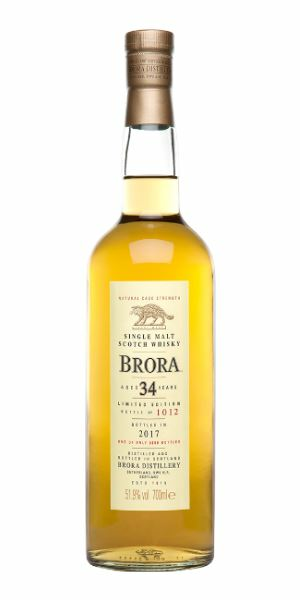 My personal highlight was the whisky chameleon that is Brora. This gentle, ethereal malt spoke softly of the 34 years it had spent in cask; a wistful reminder of past greatness and, let’s hope, a hint of what’s to come. 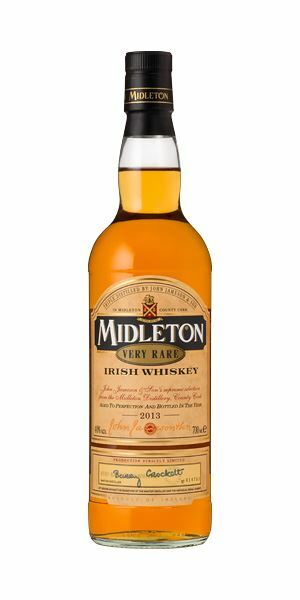 And so to Ireland, the unveiling of Midleton Very Rare 2017 and a remarkable retrospective tasting of all 34 releases. Place, time and people again: master distiller emeritus Barry Crockett in a dimly-lit warehouse, recalling the launch of Very Rare in 1985, and the fuss over the ‘exaggerated price’ of IR£40 a bottle. I asked Crockett if he had really pulled out all the stops on the 2013, given that it was to be his last Very Rare before retirement (Brian Nation took over as master distiller from 2014). I should have known better. A withering look. ‘The fact that I knew I was going to be 65 didn’t change anything,’ he said. Gentle, restrained, delicate, urging you to slow down and be patient. Marzipan. An elusive green character that resolves into lime cordial. Water, and time, helps enormously, injecting vibrancy into the fruit – just-ripe tangerine, fully ripe Amalfi lemon. Hay seeds, hedgerow flowers and a lightly creamy texture. There’s smoke, but it’s in a supporting role, adding a charred touch to the fruit, and reminiscent of green wood snapping and popping in the flames. The lemon’s now so ripe that it’s almost on the turn. With water, the fruit sweetness takes centre stage, while the smoke smoulders away in the distance. Never mind slow food, this is slow whisky. It’s... otherworldly. ‘And then reaches high and dangles herself like a child’s dream…’ – Mr Cave shaping words as only he can. Very floral – honeysuckle and a touch of jasmine – moving into sun-soaked Amalfi lemon, reminiscent of some kind of Scotch/limoncello crossover (now there’s a thought… or maybe not). Then there’s toast drenched in butter and clear honey, before the wood really takes hold with butterscotch, marzipan and, finally, coconut. Water plays up the citrus element. Thickly tongue-coating – it’s not oily but it almost gives that sensation – and quite sweet. Now there’s a sense of a decadent, fruit-filled piece of pâtisserie… an apricot croissant smothered in vanilla-spiked cream? That jasmine has evolved into light spices and a touch of pepper. Water brings out a brighter note of tangerine. A prickle of liquorice, but otherwise it’s all about that gorgeous Amalfi lemon and a honeyed undercurrent. Astar returns after a five-year hiatus. The lower abv gives full expression to the distillate and the Ozark-sourced wood used for the casks, resulting in a whisky that is Glenmo Original turned up to 11. From Tain to Sorrento, here’s Luciano. Almost shy, or perhaps just a little slow to show its hand. A twist of black pepper on fresh green apple, which rapidly ripens and morphs into banana. With water (and a little time), some supple spices and Canada tan leather. Starts in the same vein, but then things begin to shift. The pepper rears up now, and the aromas experienced on the nose explode on the palate, flooding the senses. With water, richly scented fruits to the fore, before the spice takes over. Nearly 30 years in, this is arguably the apotheosis (so far, at least) of the MVR project. A worthy legacy. Great blending is not just about a tune, a voice, or a performance. It’s also about the arrangement, and all the constituent parts serving a higher purpose. Cue Nat and Hoagy.